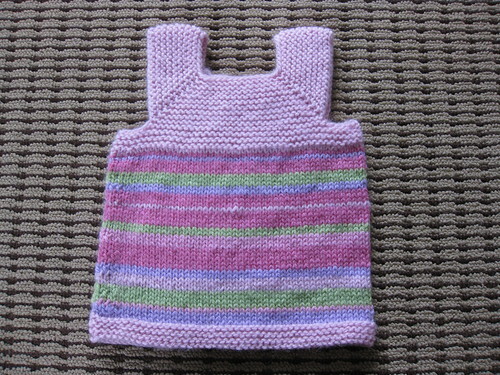 Milo vest, size 3m, knit with random stripes of Shepherd Colour 4 Me 100% wool, which is lovely and soft. Bidding starts at $10, auction closes 9pm Friday 6th May. All proceeds will go to Hope. Me too! I even thought it was common knowledge . Last chance! Closing in ten minutes. Thanks to all who've bid so far.